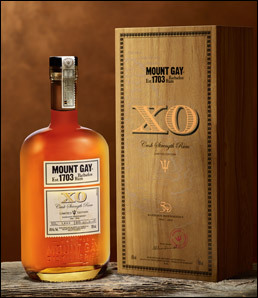 Mount Gay rum is releasing a limited-edition of its award-winning spirit XO, XO Cask Strength. The release celebrates the 50th anniversary of Barbadian independence. Only 3,000 bottles will be available worldwide. The XO Cask Strength, 63% ABV, is designed to capture the essence of Barbados, with an aroma that personifies the island’s bold but humble personality. From the beginning of Mount Gay in 1703 to the historical day of independence in 1966 to now – Barbados and Mount Gay have continued to grow and strengthen together each year. Allen Smith, master blender says: “This is our tribute to the spirit of Barbados, the original birthplace of rum and the people that make this island so unique. Each bottle is presented in a wooden box with a booklet taking readers through the history of rum’s birthplace. A portion of the sales from every bottle sold will be donated to the Barbados Museum and Historical Society to support its efforts in conserving the significant and inspiring history and culture of Barbados. The design was created by freelance artist, Erik Johnson. Mount Gay met Erik through Working not Working. After totally immersing himself in Barbados, learning about the culture and history of the island and brand, he designed the bottle and box within a few days. XO Cask Strength is available at selected premium retailers including www.selfridges.com, for an RRP of £150.00.